Attractions: Mutawintji and Paroo-Darling National Parks, The Underground Motel. White Cliffs is an opal-mining town where residents mainly live underground to escape the heat. Situated 98 km from Wilcannia, this unique landscape is comprised of thousands of hillocks of earth dug and discarded in the quest for opals. White Cliffs has a last-frontier kind of appeal. Its quirky residents have many stories to tell of wealth won and lost. At the Pioneer Children’s Cemetery, you can learn about the harsh early history of White Cliffs or follow the self-guided heritage trail. 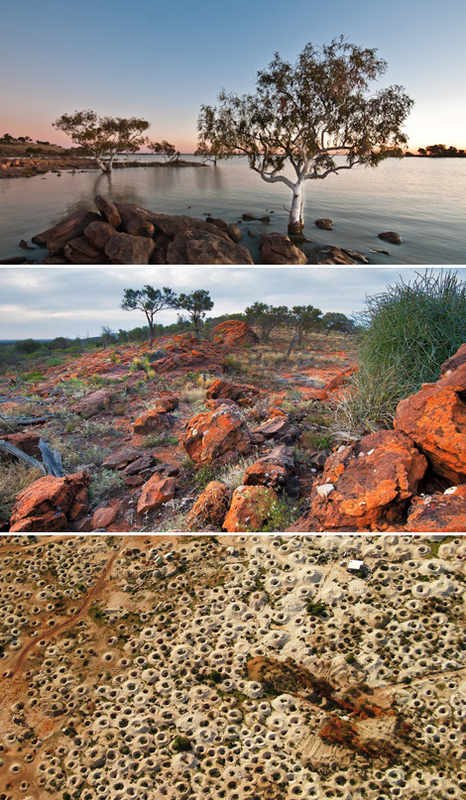 Mutawintji and Paroo-Darling national parks are nearby. www.visitnsw.com/whitecliffs - NSW Destination Information.